Some of the team at PCGamesInsider.biz have their issues about the deep discounts of Black Friday but we doubt that Green Man Gaming does. The digital retailer has announced that it doubled its revenue for this sales period year-over-year, with unit sales increasing 62 per cent. No actual figures have been announced, however. The firm claims that the average amount spent per customer was up 33 per cent. Consumers aged 25-to-34 made up half of total sales, while the retailer noted an increase in female customers in 2018 compared to last year. Green Man Gaming says that among the best-selling titles included Fallout 76, Monster HunterWorld, Far Cry 5, Call of Dury Black Ops 5, Assassin's Creed Odyssey and Shadow of the Tomb Raider. “What a great result for our community with festive sales off with a bang for publishers and huge savings scooped up by customers on their most wanted games," Green Man Gaming founder and chief Paul 'The Handshake' Sulyok (pictured) said. Nielsen-owned research firm SuperData claims that $4bn was spent worldwide on digital games during Black Friday and Cyber Monday, with PC constituting $586m of that pie - an increase of 18.3 per cent year-on-year. On the sales event, PCGamesInsider.biz warned of how Black Friday has changed in the last few years and how people selling games might be shooting themselves in the foot by discounting so heavily. Green Man Gaming announced in September that it planned to go public with a valuation of $128m. We caught up with Sulyok to discuss the decision to float - and whether there was any truth to the rumours that he had originally planned to sell the company. It seems that this IPO has since been delayed, with analysts citing tough market conditions. 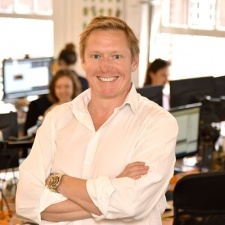 Why is Green Man Gaming planning on going public?